New York University has a lot to offer its students. But often what’s even cooler to see is what the students have to offer other students. With over 300 clubs on campus, NYU clubs range from political, sporty and religious. But every once in a while, a club title pops up that makes you read it a couple times to make sure you read it right. These 10 unique NYU clubs let quirky students find their quirky homes. I’m honestly not sure this club needs more of an explanation because the title says it all. It is literally a club for coloring and eating cookies. According to Brian Christensen Zapiecki, one of the club’s leaders, the club has 350 students signed up, but less attend each meeting typically. The leaders set up each week by printing coloring pages, sharpening and bringing crayons and pencils and baking or buying fresh cookies. “When there’s a lot of people at once we usually get into lively discussions about pop culture, mass culture, society, politics and some more niche topics! When people color a page in a particular exquisite or subversive manner, we hang it on the pillar in the lounge. These add character to the room as well as advertise for our club and bring esteem to the artist,” Zapiecki said. The club also likes to play music while the festivities happen, usually starting with the first track from “Star Wars and Other Galactic Funk” before moving to whatever that week’s appointed DJ picks. Club meets 1–4 p.m. on Thursdays at Gallatin’s fifth floor lounge. This beautiful inside and out club travels to senior homes once a month to give the residents makeovers. While Glamour Gals is a nation-wide, non-profit organization, it is rare to see it as a club on a college campus. 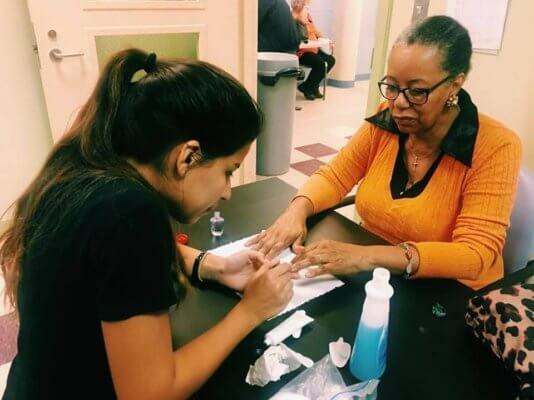 “Our chapter of Glamour Gals is quite unique in the sense that we go uptown once a month to a [Stanley M. Isaacs Neighborhood Center]… It’s awesome to leave our comfort zone and spend time with people outside of our age group every now and then. The senior citizens that we get to connect with leave lasting impressions and really offer some valuable insight,” Vice President Erin Shore said. For Shore, joining the club had to do with her grandma and the connection they share. She has fond memories of growing up and getting her nails done with her grandma. Now she lives across the country from her and only connects over the phone, so this club is really close to her heart. “We love giving them the chance to get pampered, while telling us about their lives… It really just takes getting to know them and to get a better feel for their personalities,” Shore said. Glamour Gals does monthly visits, usually on Fridays. 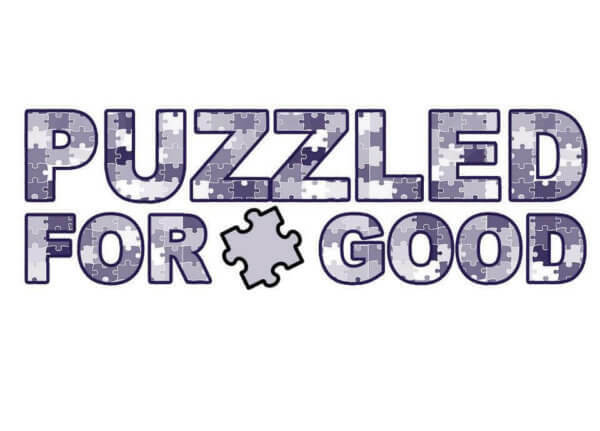 College has plenty of confusing puzzle pieces to it, but this club makes being puzzled fun. Each meeting, the club likes to switch up what types of puzzles they do, usually doing jigsaw, sudoku, crosswords, Mad Gab, Mafia, Clue, word search and nonograms. Sometimes the club likes to step it up a notch and do murder mystery nights or an Escape Room in the city. “I think the best aspect of the club is the community it brings together. Though at face value the club was created just as a structured location to do puzzles, it has become more than that,” Co-President Lena Rajan said. Club meets usually on Tuesdays around 7 p.m. in Kimmel. Club meetings vary based on classes. It’s a bird. It’s a plane—it’s a club about superheroes. What started as the Joss Whedon (writer and director of numerous movies, TV shows and comic books, most famously The Avengers series) Appreciation Club, turned into the broader Superhero Club after allegations that Whedon might not be the feminist figure the club thought he was. 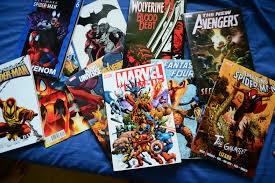 Now, the club meets weekly to not just watch shows and movies, but to have a group discussion on all things superhero. Club meets usually at 9 p.m. on Tuesdays. Club meets on Fridays, usually around 3 p.m. on the ninth floor of Kimmel. As an avid coffee drinker myself, I’m not sure how this isn’t a cult. Most students see coffee as a necessity for everything college throws at us. This club takes it up a notch to fully appreciate the whole process and industry of coffee. “There’s an unfathomable depth of knowledge to the coffee process, which takes years for anyone to acquire. Also the fact that a simple cup of coffee isn’t always unique is a factor that motivates the club. What’s better than a chat and some free coffee,” Co-President Piers Clark said. The group looks more into the process and the coffee industry as a whole. Clark said, “We usually meet at a cafe and talk over some coffee! Our events consist of us bringing in a ‘roaster in residence’ for a month, where we feature their coffees. 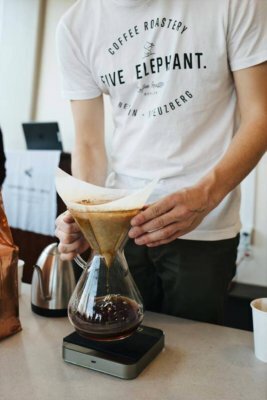 We have cuppings, where we taste each coffee the roaster has to offer, and we have ‘happy hour’ where we just brew a couple coffees on Chemexes and chill.” Clark said the best part about having a coffee club in New York is the close proximity to so many small, passionate roasters and baristas. Club meets usually Thursdays at 1 p.m. in Kimmel. 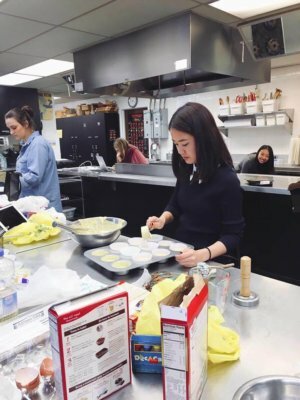 This club is NYU’s only cake decorating club (imagine that). It sets up workshops for anyone regardless of experience to come and express themselves through frosting. My question though is, do you get to have the cake and eat it too? Meetings are not weekly and have varying lengths between each one. All meetings thus far have taken place on Fridays between 5–7. The club often has themes to their meetings. They recently held a Valentine’s Day themed “Brie Mine,” featuring soft cheese, as well as other tastings of local cheeses. 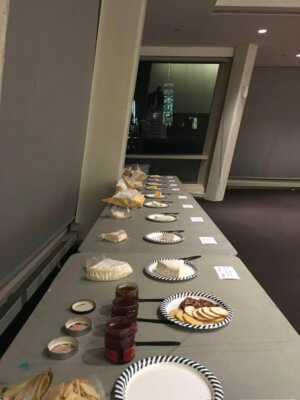 “With an average of 100-200 attending members at each event, we are proud to be one of the largest clubs on campus and to give stressed-out students the ability to partake in the luxury of cheese tasting,” said Bertrand. So don’t be forever provolone in your love of cheese. Check out the cheese club. And share your cheese: No one likes the “nacho cheese” pun, because cheese jokes are old. Also, I hear they like to play R&Brie during club meetings. Club meetings vary each month. 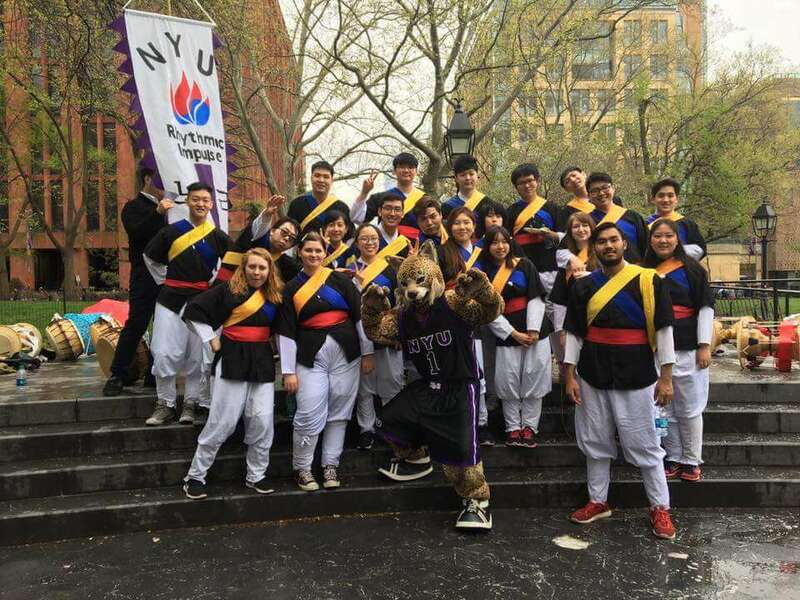 NYU’s Rhythmic Impulse teaches anyone, with or without experience, how to play traditional Korean drums. The club meets to practice for their 40 minute-long dancing and drumming performance they put on in Washington Square Park at the end of each semester. “We are a heavily performance-oriented club that practices traditional Korean drumming. Our entire year is dedicated towards our annual performance at Washington Square Park,” a representative for Rhythmic Impulse said in an email. Club meets 6–8 p.m. every Saturday in Kimmel room 606. Get more on NYU: Did you know NYU is one of the top 10 colleges for dance?